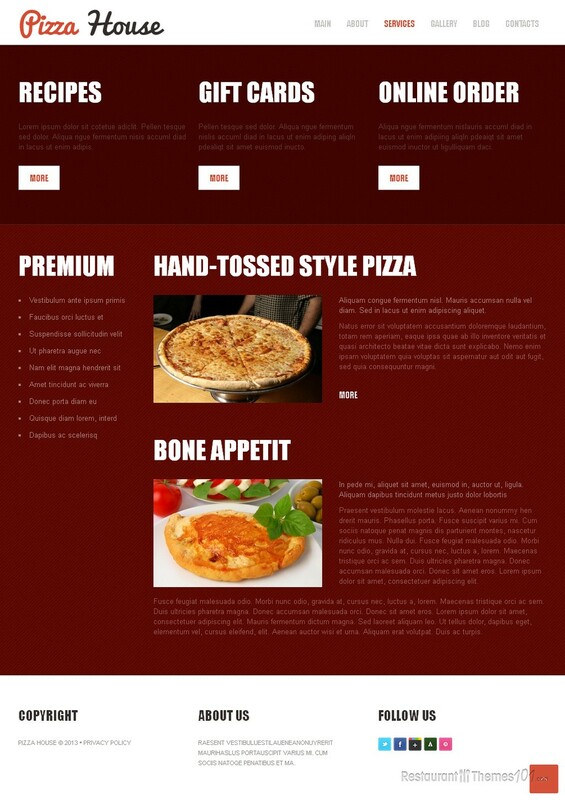 If you are looking for a nice Joomla pizzeria template, Pizza House 3 can be a great choice. Jenny created this template and it is presented at Template Monster. 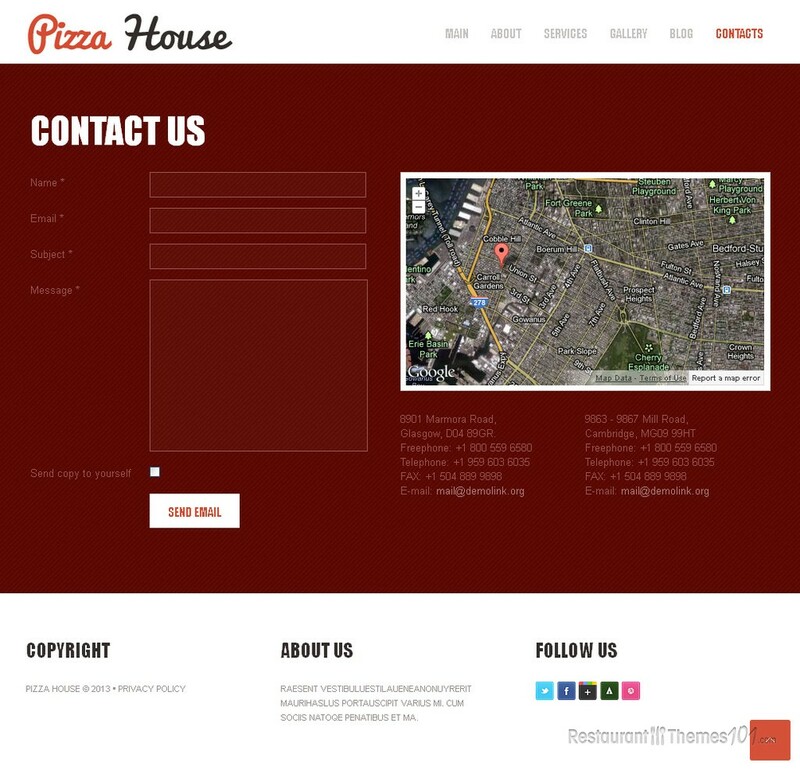 Pizza House 3 features a rich, attractive layout. The set of colors used is a few shades of red and a nice, light, almost white color that brightens the whole package. 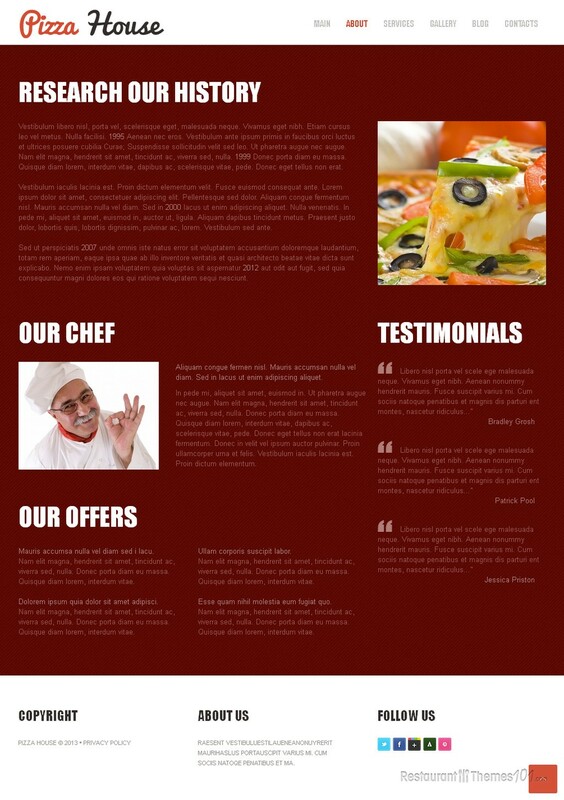 The homepage features a huge, full width slider, where you can place quality photos of your delicacies and make your visitors mouth water over your delicious pasta or other Italian specialties. The area under the slider is reserved for featuring your important posts. They will be featured with a short intro text and a read more button, and clicking this button will take your guests to a full content page where they can read the full content of the featured post. 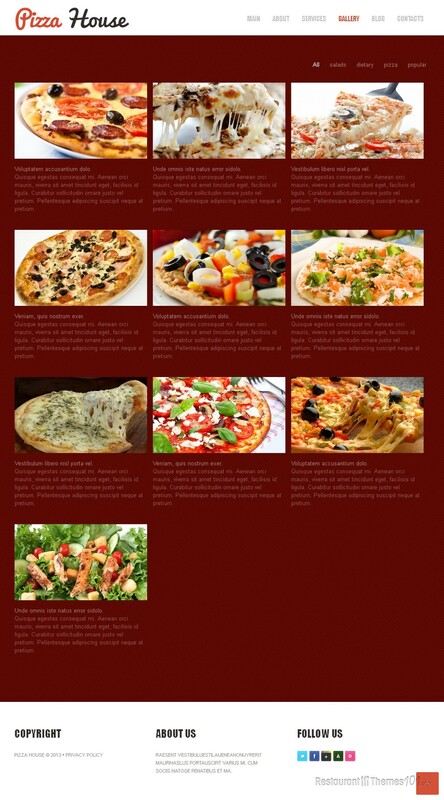 Various menu categories can be featured on the homepage as well, along with photos attached. The resized photos will be linked to a certain menu category, and all your visitors have to do in order to get to the wanted menu item is clicking a photo on your homepage! Everything is very easy and simple, and your whole website will be very pleasant for browsing. 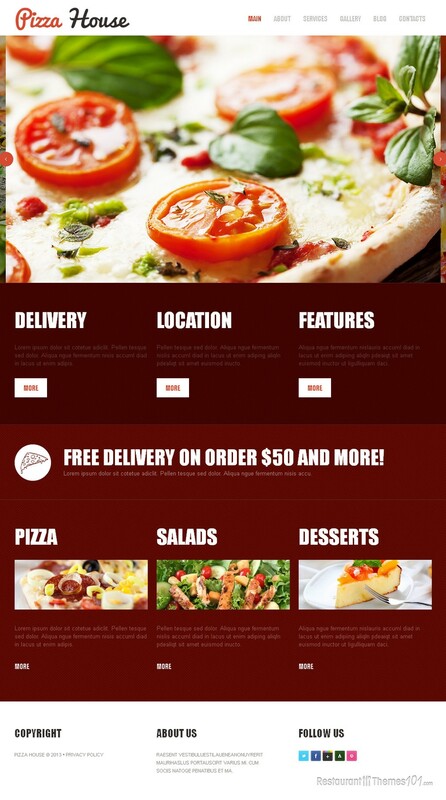 The menu of this template looks nicely organized, and you will be able to create your own unique menu very easily. Each menu item can be followed by a detailed description and a photo. The social integration of this template is very nicely done. You will be able to connect to all of the most popular social networks and this will give you many new sharing possibilities and many new visitors! Google Maps integration was added to the contact page, along with a simple, nice contact form allowing your guests to message you very quickly. This Joomla Italian restaurant template features a great admin panel, which is very easy to run and manage, and it also features the great K2 Component extension. Setup and install instructions are added, so you don’t have to worry about hiring a professional to set the theme up for you. You will be able to do it all by yourself.